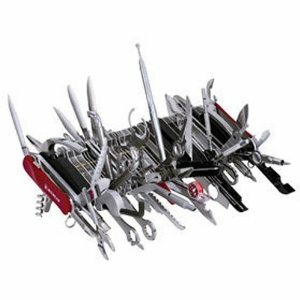 Apparently this crazy swiss army knife is a real thing that Amazon thought I might like to own. Just imagine what your life would be like with the added convenience of owning such an item. And oh, the jealously on your chums’ faces next time they are in desperate need of a hook disgorger and you casually present the perfect solution! Hurry, there are only 18 left at the time of this writing, and they appear to be on sale!